Working together with chiropractic care, physical therapy, and massage therapy, acupuncture is offered for Wall Township NJ, Manasquan NJ and additional surrounding towns at Sea Girt Spine and Rehabilitation as a method of helping patients reduce pain, boost immunity, and address negative emotional issues. 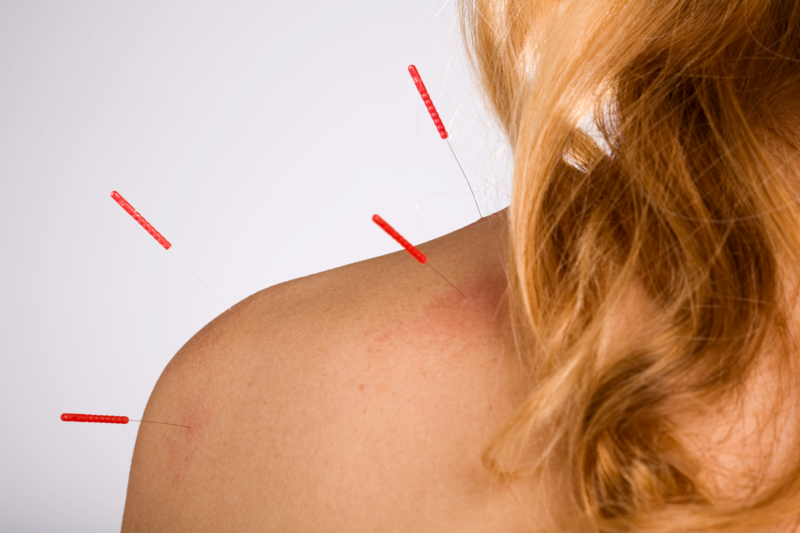 Acupuncture is an important component in our commitment to helping patients rehabilitate without the use of drugs. Acupuncture is an ancient Chinese technique has been proven effective in treating a wide variety of both physical and emotional symptoms through the insertion of extremely fine needles at specific points on the body. It is particularly effective in that it treats the body holistically, with concern for the body as a whole, harmonious system. There are two ways of viewing acupuncture. The first is to understand the Eastern perspective, and the second—and usually the most relevant for American patients—is through controlled, Western medical studies that have repeatedly demonstrated that acupuncture produces very real and life-changing effects on the body. As a practice of Chinese medicine, acupuncture is centered around the concept of a life energy that flows throughout the body on channels, which are known as meridians. This life force (‘Qi’) must flow through the meridians undisturbed in order for the body to be in perfect health and balance. Pain and disease are a reflection of unhealthy blockages in Qi, or in an imbalance of Qi’s two central components—Yin and Yang. Yin and Yang are opposite forces in the body which must remain in balance. Each meridian relates to a different organ or system of organs; all of these are interconnected. Hence, any blockage or disturbance in any of these areas represents a total imbalance of the body. Acupuncture works to stimulate certain points along the meridians in order to restore balance and health and allow for the free flow of Qi. Research on acupuncture has proven that this ancient technique causes a number of physiological changes in the body. Many patients find relief from pain and anxiety due to an increase in the production of endorphins. Endorphins are a type of neurotransmitter that act as natural painkillers. This effect can also lower blood pressure, boost the immune system, reduce pain and anxiety, and regulate the production of hormones. Acupuncture also enhances serotonin levels. Serotonin is another neurotransmitter; it is responsible for a number of functions, including the regulation of mood. Many prescription anti-depressants are designed to increase serotonin in the body. Acupuncture offers a natural way to find relief from depression, anxiety, addiction, and sleep issues. For more information, contact us at Sea Girt, NJ Center.